Ever found a YouTube video at home that would be perfect for instructional use in the classroom, only to remember that YouTube is blocked at your school? Wouldn't it be great if you could download a video from YouTube, put it in your Dropbox or on a flash drive, and then transfer it to your school computer to show to your students? Well, you can through a great, free resource at www.clipconverter.cc. This fantastic, easy-to-use website enables you to paste in the URL (Web address) of a YouTube video, and the site will convert the video and download it to your computer. 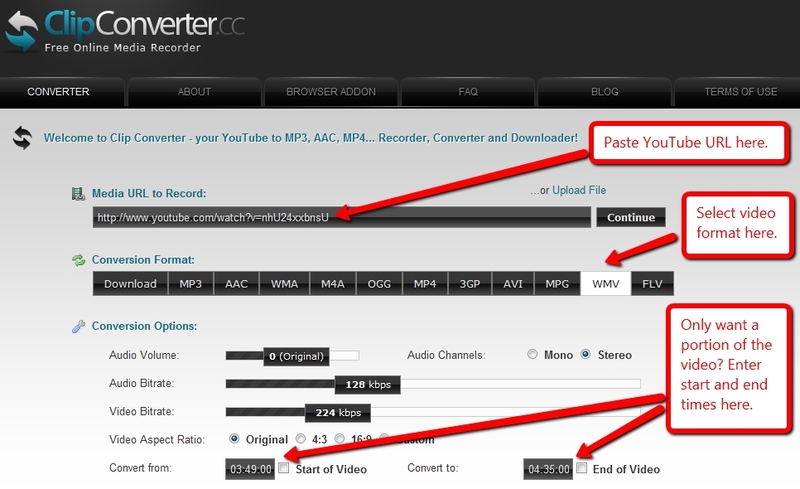 Take a moment to watch the video below to learn how to use this useful tool, or read my blog post on ClipConverter here. Click on the image above for a quick-reference screenshot.